Bioeconomy Investment Summit - "Building the Bioeconomy: creating impact through investment" is the international event dedicated to bioeconomy organized by the European Commission on 9 and 10 November in Brussels. The objective of the two-day Summit is to identify possible ways to mobilize private and public investment for the Bioeconomy, by notably ensuring supportive framework conditions including policy and regulatory environments. The event brings together the main representatives from the European institutions, industry, primary producers, civil society, the scientific community, representatives from regional public investment banks and private equity firms. 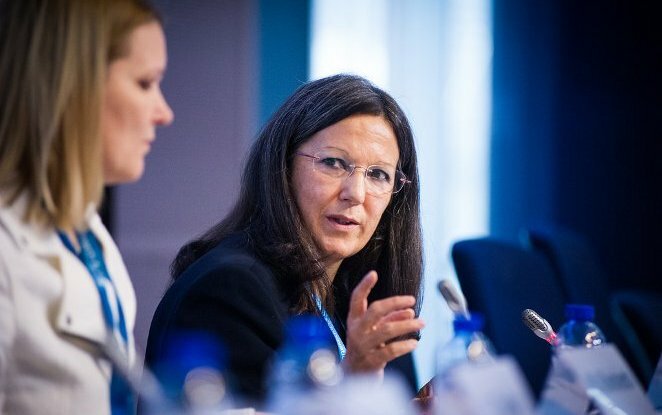 Catia Bastioli, CEO of Novamont, attended the event in the session "Investing in the Bioeconomy" to discuss the challenges to promote investment in the bioeconomy and create an European leadership in this area. During her speech, Catia Bastioli has presente the Novamont model of bioeconomy based on sustainable regions, territorial regeneration and resource efficiency. A two-floor exhibition of successful bioeconomy projects has been arranged during the summit. The Bio-Based Industries Joint Undertaking presented at its stand First2Run, the European project coordinated by Novamont whose aim to demonstrate the technical, economic and environmental impact of a biorefinery integrated in the local area.